It is the early 1990s and Chief Inspector Chen Cao of the Shanghai Police Bureau is a talented cop and an accomplished poet, with political connections that mean he is on a fast track to a senior position. On an early morning visit to the Bund Park a body is discovered in the undergrowth, covered with eighteen axe wounds. Just as Chen starts to investigate he is called away and assigned to chaperone US Marshall Catherine Rohn who is arriving to accompany a former dancer and party loyalist Wen Liping to the United States, where her husband has turned state witness against a triad gang who are running an illegal immigrant trafficking racket. However, Wen has disappeared from her rural village in Fujian. Chen dispatches Detective Yu to the province to hunt for her, whilst he stays in Shanghai to stall the American marshall and to present a favourable view of the country just a few years after the Tiananmen Square protest. It soon becomes clear that Wen is being pursued by a triad gang intent on preventing her from travelling to the US and Chen gets further involved in the hunt for her, taking Catherine Rohn along with him against the orders of the party. 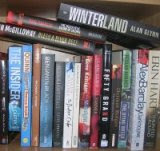 I reviewed the first book in the book in Chief Inspector series, Death of a Red Heroine, in 2009. 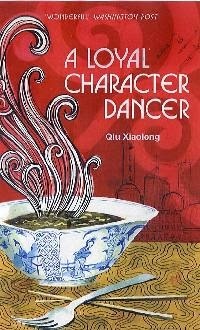 It was a book I had struggled through, but since I was travelling to China I decided to give the second book, A Loyal Character Dancer, a go. The story was an improvement on the first, presenting an interesting view of China at the start of the period where it opens up to the West, using the arrival of a US Marshall to explore cultural differences. Chief Inspector Chen is relatively engaging as a lead character, prepared to take risks and challenge the party line and is reflective, quoting poetry as a way of making sense of the world. However, whilst he’s meant to be a talented and skilled cop, he makes a series of poor and amateur judgements throughout the story, culminating in setting off into the lion’s den with the main source of prey, telegraphing his arrival and bringing no back-up. Indeed, the procedural elements of the plot are a little weak throughout. Moreover, the dialogue is somewhat stilted. The result is a story that is interesting culturally, but falters with respect to the mystery, and whose resolution is far from convincing. Thanks for your thought, Rob. I have to confess I liked both this one and the first one better than you did, but you given a really thoughtful and well-written critique.